The monarch is famous for its spectacular migration to overwintering sites in Mexico and California, a trip of up to 4,000 km. 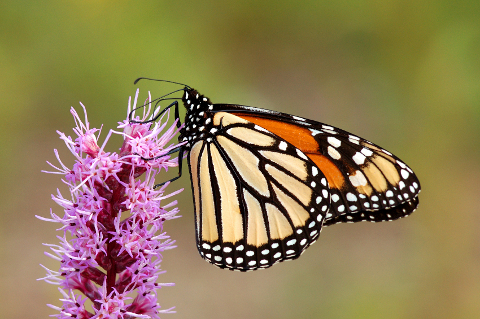 Test your knowledge about monarch migrations with this quiz, and if you have fun, try one of our other migration quizzes! This package addresses the habitat needs of wild travellers and looks at migration as the lifeblood of planet Earth. The cycling of nutrients, the motion of energy, and the movement of genetic information are all part of this flow. But as the planet’s arteries harden with asphalt, concrete, and contaminants, the spaces that migratory species need to survive are vanishing. Someday, there may be “no flow to go with,” unless we make way. a wide range of wildlife habitat enhancement projects that emphasize learning through doing. The package is closely linked with other WILD Education programs and supplemented by numerous classroom activities and outdoor projects. Everywhere, from the Arctic to Antarctica, finned, furred, fanged, and feathered travellers are on the go. Sometimes called the lifeblood of the Earth, migration is like a vast circulation system that pumps blood toward the Earth's poles in spring and back toward the equator in fall. It cycles nutrients, energy, and genetic information around the globe. Creating habitat for migrants is simple if you develop your project in stages and if it is driven by student initiative. You too can give safe passage to rambling reptiles and ambulatory amphibians. As human developments continue to dice, mince, and pulverize natural areas, the need for connectivity between fragmented habitats becomes more vital. To achieve that goal in your area, give these projects a try. We may have solved the mystery of the vanishing songbirds. But as far as their habitats are concerned, we've barely begun to put the pieces back together. People are finally recognizing the value of bats. Help make way for migrants that rely on watery spots by tackling any of these habitat projects. Urge students to pursue conservation objectives by becoming knowledgeable about the habitat needs of migratory species and by devising an action plan (including diagrams, estimated costs, and long-term goals). Before undertaking habitat projects, obtain permission from local landowners or your municipality and consult with a by-laws officer. At project sites, post weatherproof signs to inform passers-by of your objectives. Use only plants, trees, and shrubs native to your ecological area. Ensure the longevity of your project by involving several grades and collaborating with community groups. Consult with experts, such as conservation officers and wildlife biologists, to give your project a strong foundation. For safety’s sake, always work in small groups and recruit older students, parents, community volunteers, or other helpers. Take extra care when working near water or in wooded areas. Bring along a first-aid kit, Epipen, sunscreen, and insect repellent. Make sure students wear suitable clothing and footwear.